Today's post comes as a bit of a surprise to many, including Dave Dodds of a number of years ago, when I began my freelance career in the film business. I've discovered a deep appreciation for an unexpected part of the film and video world... News. 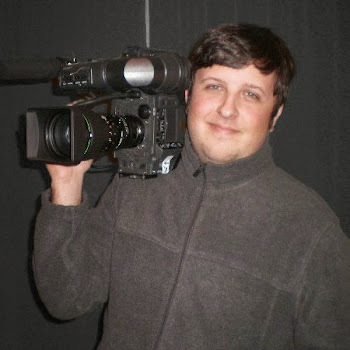 In June 2013, I joined the roster of cameramen at News 12 Long Island. I think many in the filmmaking community devalue news for it's incredible pace and varying standards, and I'll admit, I've seen some sh**ty news shooting. But done right, it's really worth taking the time to admire. First off, there's no B.S. in news - there's no time for it. Most days, your job is to get important content quickly so it can go out the same day. No time for pre-production or location scouting before, or assembly cuts and copious amounts of post time afterwards. Story happened today, so it goes out today. Go into a place blind (unless you've been there before on another story) and make a decision quick about where you want to shoot. Usually there isn't time to bring in your lights, so use what's there. Quick! Find your background. Quicker!! Now you're done, so hurry back to the studio to cut (or do it on your laptop in the field). The 5pm show is quickly approaching! Edit faster!! There's a lot of room for the careless errors that fuel negative stereotypes of news production, but a newsman with a good eye can make it work. That pace, though frustrating at times, can be exhilarating. It's also an interesting feeling to see through a news package from pre to post in a workday. There's a great sense of satisfaction to have your work on the air at the end of the day, unlike in the straight doc or doc tv world where you've got at least a few months turnaround. I've often had things air so far after shooting that I've almost completely forgotten what it was all about.